Nowhere in the world is Chinaâs rapid rise to power more evident than in Africa. From multi-billion dollar investments in oil and minerals to the influx of thousands of merchants, labourers and cheap consumer goods, Chinaâs economic and political reach is redefining Africaâs traditional ties with the international community. 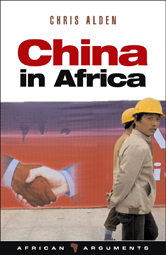 This book investigates the emerging relationship between China and Africa to determine whether this engagement will be that of a development partner, economic competitor or new hegemon. Alden argues that in order to understand Chinese involvement on the continent, we need to recognize the range of economic, diplomatic and security rationales behind Beijingâs Africa policy as well as the response of African elites to Chinaâs entreaties. Only then can the new challenges and opportunities for Africa and the West be accurately assessed.